At InnovaKnits we pride ourselves on our dynamic ability to not only develop high tech and innovative textile solutions, but to also offer our customers the ability to have these items produced domestically! We focus on delivering technically superior products that require limited to no manual labor and post knitting assembly. 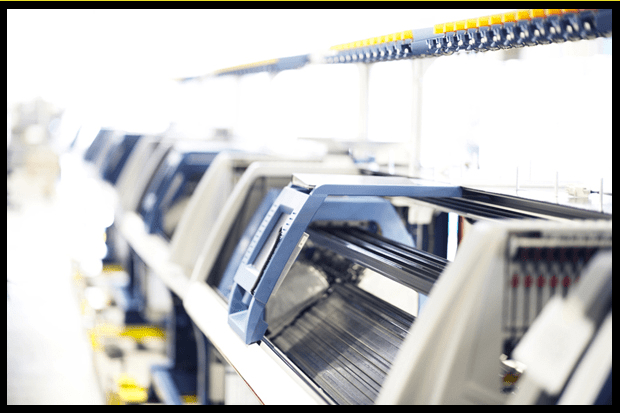 Our technical expertise and mastery of our equipment allows us to move the bulk of the manufacturing burden to the knitting machines themselves… therefore eliminating costly domestic labor and enabling us to compete more robustly with manufacturers world wide. Current production capacity is contingent on many factors, but generally speaking we have production capabilities into the 10’s of thousands of units. Minimum Order Quantities are contingent on the product and are assessed on a case by case basis. All of our Production runs are done on the same State of the Art equipment as our Samples, and all Production is Made In the USA right here in North Carolina! Please fill out the form on the CONTACT US section of this website to get us started with your latest production needs. We will be back in touch with you within 24 hours!